Wine Industry Insight is a partly free, partly by-subscription online trade publication for the California Wine Industry. Its email edition of more than 11,000 gives it the largest circulation of any industry publication. Savvytaste is a wine-oriented social network, a sort of "Facebook for wine" which can match users to wines they will like. The matching system allows SavvyTaste users -- from novice to expert -- to search the database for a wine they have already tried and liked, then hit the "Find Similar Wines" button. SavvyTaste users at every level of experience can also rate wines, share their wines in their personal profiles and connect with other members who like the same wines. Because genetic, environmental and experiental differences create a vast array of taste preferences, SavvyTaste's rating and matching system provides the Web-based tools to capture the entire spectrum of preferences and to match its users with wines THEY will like. 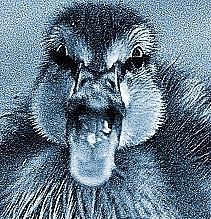 VisitStyle Duck, The "cut to the chase" writing method that will improve your writing. Created by Lew and his son William. When prominent Mississippi civil rights attorney asks renowned neurosurgeon Bradford Stone to help her save the life of a white racist condemned to death for the cold case murder of a black man, he has no idea that he is about to be dragged through a deadly past he thought he had escaped once and for all. Set mostly in Mississippi – primarily the Delta region where the real-life gothic exceeds the most outlandish Flannery O'Connor story – Perfect Killer tells the story of a future which can never break free of the past. The mystery is centered in the Mississippi Delta in a top-secret military project begun decades ago in a facility once housing German POWs. 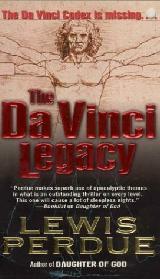 The program, Project Enduring Valor, is designed to create the ultimate human killing machine. For over seventy years, has sought the Holy Grail of combat medicine: a chemical compound that would turn ordinary soldiers into weapons of mass destruction, the Perfect Killers. Now, after decades of covert trial and error which have resulted in troubling side effects such as the My Lai massacre, Enduring Valor is ready to be implemented on a massive scale--despite a few troubling side-effects. Before he knows it, Stone himself in the sights of the Project's director, a retired general and war hero turned presidential candidate. To get back his life, and expose the truth, Stone must struggle with the South's racist legacy, the demons of his past and penetrate the very heart of the lethal conspiracy. Fed by greed and notions of racial superiority, a huge global biotech corporation is about to unleash a killer gene that has rested undisturbed inside every human being for thousands of years. Their purpose: to control the most diabolical weapon of mass destruction ever designed: a racial bomb which targets only members of specific ethnic groups and it's available to the highest bidder, be they government or terrorist. Taqdot, Online resources and communication exchange for the synthetic and open-source biology community, a place where genetic engineering is SO last century. YourTechWorx, My son, William's business site. Sirrus: One Great Hosting Service! I have hosted more than three dozen domains with these folks for 12 years now and always found the service quick, responsive and reliable. And NO, I do not, repeat not get a finders fee, affiliate payment or break on my own hosting for posting this. I get nothing other than the satisfaction of supporting people who have made the last 12 years of web site operation a lot easier than anywhere else. AMERICANS DISHEARTENED by the sludge-stained rhetoric of the 2004 presidential campaign can take heart that democracy has survived the same offal mess over and over for 228 years, and probably will prevail this year, thanks to the pragmatic equilibrium of the electorate's centrist majority. 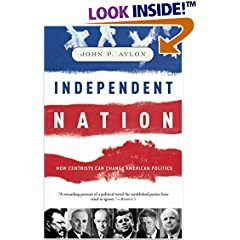 Independent Nation, or How the Vital Center Is Changing American Politics documents a centrist and increasingly independent voting majority in America, too liberal to be Republican and too conservative to be Democratic. For "the past several decades, the Democratic and Republican parties have become increasingly identified with their most fundamental wings -- the 'religious right" and the 'lifestyle left" -- a relatively small number of extreme partisans who view their opponents as enemies and seem obsessed with imposing their beliefs on the rest of the American people," John P. Avlon writes. He uses polling data to show that the percentage of people describing themselves as independents has risen from 23% 50 years ago to 40% in 2000 and is even higher in Gen X. And the percentage of centrists who eschew liberal or conservative labels rose from 36% in 1980 to 50% in 2000. "Not coincidentally," says Avlon, "as our professional politicians have become more partisan, Americans have reacted by voting in a new era of divided government ... [in] pursuit of the implicit assurance that extremists in one party won't be able to hijack the national legislative agenda." In highly readable prose that is equal parts history, strategy and manifesto, Avlon, a former aide to Democrat Bill Clinton and Republican Rudy Giuliani, unites nearly two dozen profiles of politicians -- from Teddy Roosevelt, Harry Truman and Dwight Eisenhower to JFK and Sen. Edward Brooke -- into a rewarding portrait of a political trend the established parties have tried to ignore. To the dismay, and often surprise, of both Democrats and Republicans, when given a choice, centrists reject both parties and elect independents. Among the profiles in Independent Nation are those of three independent governors -- Lowell Weicker of Connecticut, Angus King of Maine and (of course) Minnesota's Jesse Ventura. Avlon uses them to point out that today's independent candidate taps into a centrist viewpoint, not the extremist ideologies that fueled third parties in the past -- Strom Thurmond and George Wallace on the right, Henry Wallace and Ralph Nader on the left. The rise of this increasing militant majority of centrists should scare the pants off the self-appointed kingmakers at the RNC and DNC. But Avlon notes that despite polling data showing substantial majority support for school vouchers, a woman's right to choose, a balanced budget, campaign-finance reform, tort reform and a host of other opinions that transcend party dogma, "neither party entirely represents the interests of these voters because they are still influenced by the ideological relics of the Industrial Age." Avlon stresses that centrists are far more interested in solving problems than in endless ideological debate. Results count, not rhetoric. But what the two parties dish out is "rule or ruin" -- if you can't rule the party, then ruin the opposition. "Liberals on the far left and conservatives on the far right each try to deny centrist leaders legitimacy in office because their reforms represent a direct challenge to the special interests that make up the base of both parties," says Avlon. That makes the centrist candidate's path rocky, as John McCain learned in 2000. McCain, according to Avlon, infuriated the GOP establishment "with his refusal to play ball with big business and the religious right, while capturing the imagination of independents and reform Democrats to such an extent that polls showed that he would have beaten Al Gore decisively." But neither the parties nor their vested special interests can afford a reshaping of American politics. Thus, it was no surprise that, after McCain won the New Hampshire primary by nearly 20 points, the Bush campaign "began blanketing the airwaves with ads attacking McCain, spending an estimated $50 million." The religious right stepped in with a sleazy campaign of anonymous phone calls alleging that McCain "had collaborated with the North Vietnamese, fathered illegitimate children, [that] his wife was a drug addict." This showed how organized parties can keep the centrist majority from choosing a candidate they prefer. While neither major party is willing or able to kick the addiction to special interests, both know an election can't be won without centrist voters. So the parties carefully shape a message to appear more centrist than they really are. But Avlon notes that trouble will brew if there isn't some element of truth in advertising. If the elected officials don't deliver what is promised, they're likely to find themselves out after one term, something Avlon explores in analyzing, among other people, Jimmy Carter. Avlon also says that George W. Bush co-opted many Clinton-Gore centrist positions, then moved way to the right to reward the religious right for helping to remove McCain from the competition. In all, Independent Nation offers lessons that, judging by this year's campaign rhetoric, are being ignored by Democrats and Republicans alike. LEWIS PERDUE is the author of 19 published books and has been a top aide to a Democratic governor and a Republican U.S. senator. Look The Washington Conection pictures of reconstituted shreds!